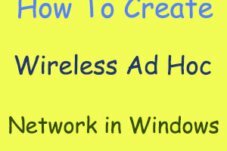 Hello guys, are you searching in the web for knowing how to install Windows 10 in your PC/laptop? Then once if you go through this tutorial, again you won’t go anywhere to know about this installation. I’m sure you will not get any guide better than this to install Windows 10 on laptop. Video of this installation process will be put in the YouTube very soon. As we all acknowledged some problems in the Windows 8 and Windows 8.1, Microsoft is trying to sneak in some attributes which have got success tag from the previous versions of Windows and as well as from the other Operating Systems. You may have come to know the amazing features of Windows 10, they are really awesome, aren’t they? 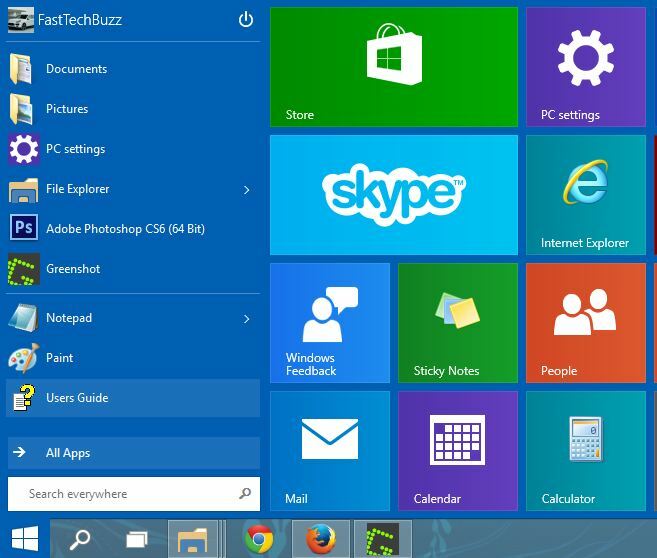 Windows 10 final version is yet to release but, its beta version was relinquished on 1st, Oct. This version is technically called as Windows 10 Technical Preview. Here I’m providing the images for every single step to install this Technical Preview of Windows 10 successfully without any trouble. 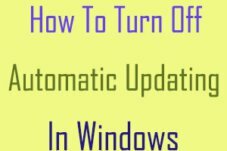 Before going to install this OS, foremost you need to know one thing that is you’ve to wait for few hours (max 7-8 hours) to download Technical Preview of Windows 10. You’ve to get registered in the Windows Insider Program for downloading this preview. Anyhow, I’ve made it successful to download this and after downloading the beta version, straight off go to installation of Microsoft Windows 10. To get the Windows 10 Technical preview in your laptop, firstly you must download it from the Official Website of Microsoft. Click on the below showing download button to acquire Windows 10. Afterwards doing download, you need to get the downloaded files into one DVD or Pendrive, then make that device bootable. According to Microsoft Info – If your PC supports Windows 8 and Windows 8.1, you can install Windows 10 on any laptop/PC. It would be better if you have RAM of 4GB and a processing speed of 1.5GHZ in your PC. Improved PC specifications (more than what I stated) also recommended. Check This >> Read Carefully: You need to be very careful while doing each and every step, check every time whether you’re following me exactly or not. If you miss out anywhere, your PC will be in deep trouble. This is a definitive guide to install Windows 10 and works 99 out of 100 times but if you’re the one person among those 100 people, I can’t do anything for you. 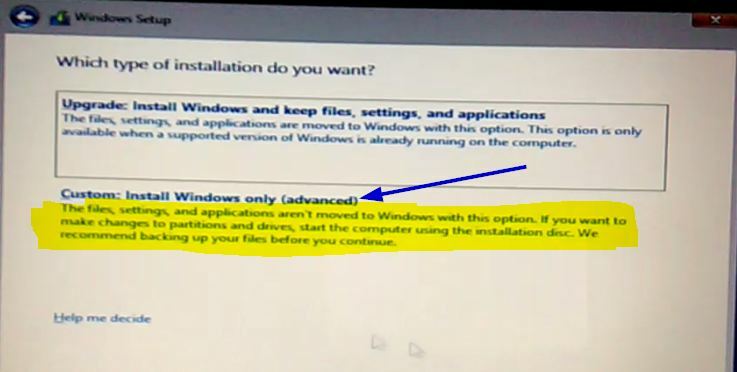 If you’re fine with this disclaimer, then get ready to do installation of Windows 10. 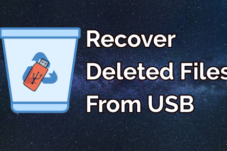 Take the backup of all your system files (Mainly backup the data in the C Drive) ’cause, this installation is gonna erase entire data in your previous OS. I believe that you’ve made the DVD/Pendrive bootable and ready to go. To start installing, first of all your PC should be made Shutdown or Restart, after that infix your Pendrive into one of the USB ports. Every time when you open your laptop, you can notice a message coming at the bottom of the screen about the setup and Boot options of PC. 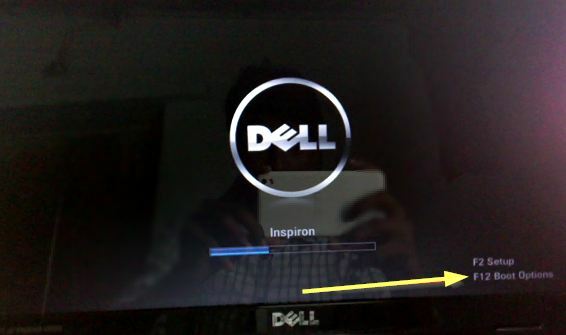 The option for setting up the boot options may be different for various PCs, if you take DELL it’ll be F12. Hit the button which you notice there. In my PC it’s F12, you choose what you see there after you restart the PC. If you miss out to press that in time, once again you’ve to restart your system and then press quickly. That’s the first step, once you enter into booting options, you can see options for different booting devices like for Pendrive or DVD. Choose whatever you use as shown in below image. Pick out the exact one from those two options and you’ll notice one prompt saying “select your language“, fastly do that one and tap on next then click on Install. You’ll see a windows asking “Which type of installation do you want?” Upgrade version or Custom Installation. Select the second one i.e., custom install. If you click on that one, you’ll be shown all drives in your PC. Select the drive which you want to format and install Windows 10. Be cautious here because if you choose the different drive then you’ll lose all your data. After formatting the drive, once again click on the same drive and click on next. Once you perform above step, you’ll take into the installation phenomena. It’ll start doing installation, please be patient while this process is going on. Approximately it takes 20-25 minutes to complete full install. 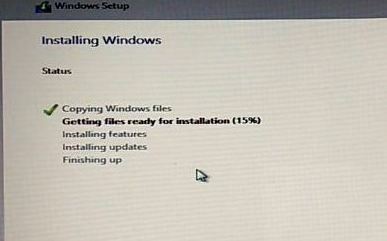 During installation of Windows Operating System, your PC automatically restarts several times. Don’t think anything wrong about that, its just setting up your Windows OS and do not click on anything. 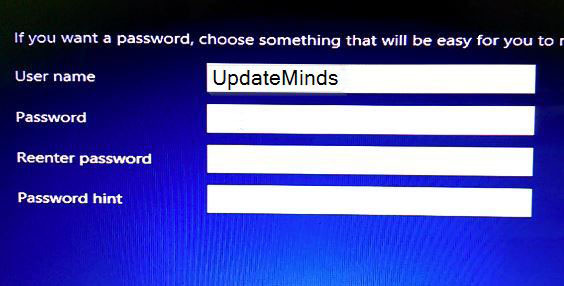 Later this, you’ll be asked to set the time, PC name, computer password and the other things which you can do very easily. Once this is over, you’ll have your most awaited Windows 10 OS in your laptop. That’s all about the exclusive error free installation process of Windows 10. If you have any queries or suggestions regarding this post, you can shootout your words in the comment section. Don’t forget to share this post on Social Networks. perfect, followed what you said and done with this. i have acer laptop, i’ve entered into booting and i need some clear explanation at formatting the previous drive. can anybody help? Hi maneesh, I’ve explained in the tutorial with the images. You can see that carefully and do like that, thanks. nice tutorial but i think there is a problem with my lappie. i’m not able to stay in the booting options, it’s immediately going. any help? Hi williams, you need to be very quick to press the button in order to stay there. So make yourself ready and try again, thanks. hi, i already have an empty drive. do i need to format it again or just continue with the installation. i want make sure about this small thing. Can i download windows 10 on my external hard drive? Yes Michael, you can download it on your hard drive. If i download it on my external hard drive, would anything happen to the hard drive in my laptop? and would i could start windows 10, when it is downloaded in my external hard drive? Hi again, if you download the iso file of Windows 10 Technical Preview, nothing happens to your hard drive. You are just saving the file not installing. 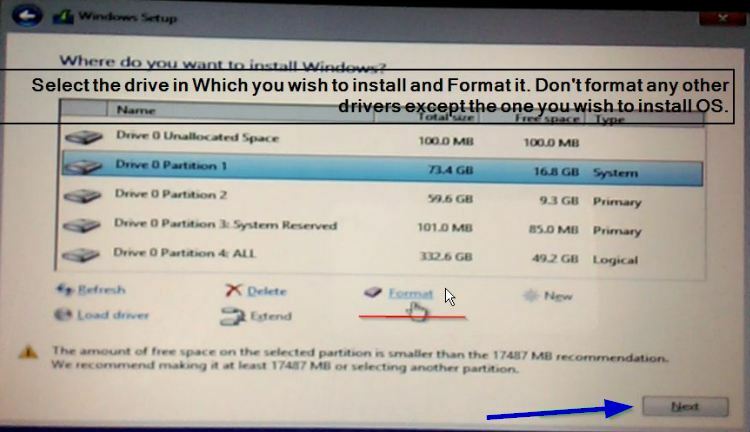 But if you wanna install it, you have to keep all your files in another partition and install. I think you can’t start installing Windows 10 from your external HD. You better do it with DVD or USB, thanks. i have been using windows 10, its great OS. But we cannot disable windows updates to be installed. after updating the windows every time we face a new problem. its useless to install this preview version. unless we get a stable version. Hi Vishal, I understand your problem. You need to be perfect while entering that key. Please try once again, there is nothing to do. Enter it correctly and I hope you’ll come across this, thanks. Finally, I installed Microsoft OS windows 10 with my own.Thank u guys, for giving such a nice information.